BizReport : Research Library : VMware Inc.
Did you know that over the next year, 50% of small and midsized businesses are moving to virtualization? That's because virtualization allows businesses to run multiple operating systems and applications simultaneously on the same server, delivering a range of great benefits. 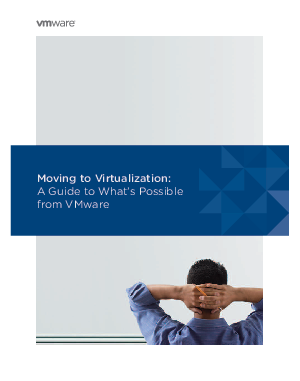 Read our guide to learn how you can get started quickly with VMware. VMware delivers reliable, enterprise-class solutions at a price your business can afford. Create a more robust, highly available infrastructure at a low cost that's simple to deploy and manage.